City of London Symphonic Winds return to St Mary-at-Hill Church to present an autumn concert with the theme “Rhapsodies, Posies and Impressions”. Under Musical Director David Smith, CLSW will perform works by renown composers and arrangers for Symphonic Wind Band. 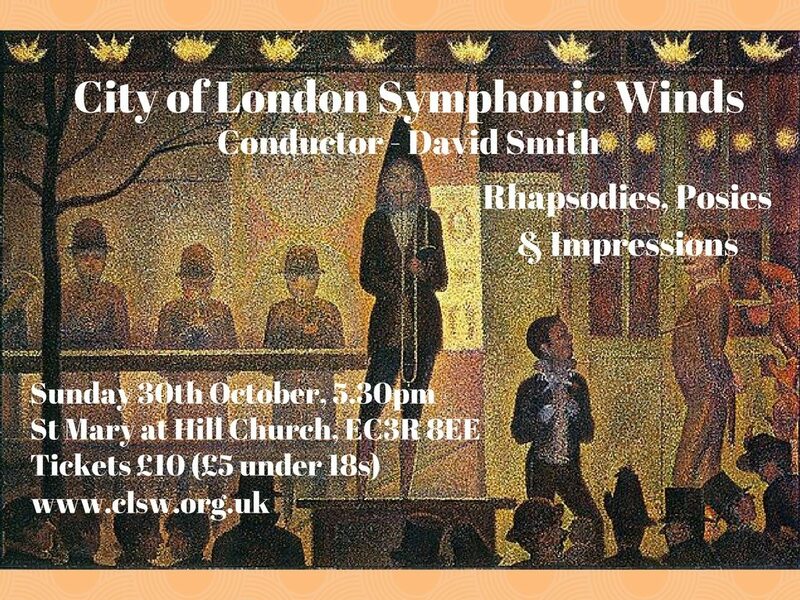 City of London Symphonic Winds, Conductor David Smith present an autumn concert with theme of Rhapsodies, Posies and Impressions. This entry was posted in Concert and tagged CLSW, LiveMusic, london, WindBand. Bookmark the permalink.